EDINBURG — As the first half was winding down, the referee called for 1 minute of stoppage time. The 1 minute had passed, and the players were looking to the referee to blow the whistle and end the half, but instead he allowed the Seattle Sounders FC 2 to take a corner kick. At 46:21 of the first half, Sounders defender Riley Grant got on the end of the ball and scored to bring the game even at 1. The Toros could have easily shut down after the goal. They could have settled for one point after a long road trip, but they responded. 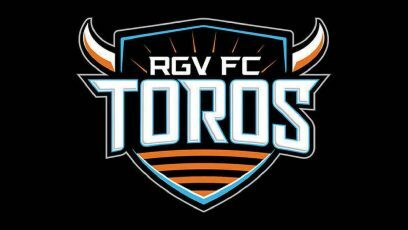 The Toros came out hungry in the second half, scored two goals less than 3 minutes apart and carried the momentum to a 3-1 win on Saturday at H-E-B Park. Toros coach Junior Gonzalez agreed with the sentiment, but chose to take a different approach. The Toros were playing their third game in a week. They had three regular players — Charlie Ward, Kai Greene and Jose Escalante — who were up with the Houston Dynamo preparing for the Lamar Hunt US Open Cup, according to Gonzalez. The only outfield player on the bench for Gonzalez who had played a minute for the Toros this season was Cristian Lucatero, who had played 61 minutes coming into the game. Leo Ayala made his season debut, starting at right back. The first goal of the second-half flurry came at the 62:13 mark. Luna, who was wearing the captain’s band for the game, buried a shot from about 8 yards out, his second goal of the season, to put the Toros ahead 2-1. Ivan Magalhaes was the next to score. He got on the end of a free kick from Emilio Garcia for his first goal of the season at 64:37 to bring the score to 3-1. The Toros’ first goal came at 15:36 of the first half. After the ball took a deflection off of a Sounders defender, Casner went up to try to get a head on the ball inside the box. He took a hard fall as the Sounders defender stayed on his feet. The Toros were looking for a foul call, but none came. Sounders goalie Tyler Miller grabbed the ball and tried to pass it to the defender, but there was a miscommunication and the ball fell James on the right side around 30 yards out. James saw the goalie was out of position and put a lob shot into the top right corner of the net for his first goal of the season. Jesse Ortiz, a Dynamo Academy player, got his first minutes in a professional game, when the 16 year-old was brought on as a late sub. Juan Garcia, a UTRGV alum, also came on late to make his debut for the Toros. The win is the Toros’ first in the last four games, and it moved them up to fifth place in the Western Conference standings with 17 points. To do it short-handed was “crucial,” according to Casner. Angoitia agreed.